I've had a lot of requests for a ring making workshop (we held one at resonate last year and it was great fun and very busy!) So if you fancy learing how to make your own rings please join us at Resonate on Sat 6th October. 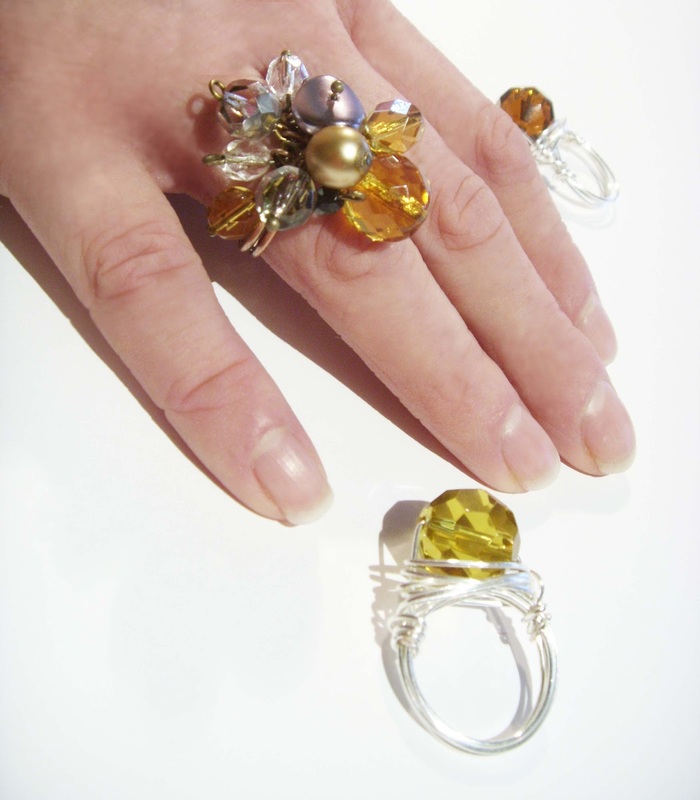 Booking is advised because places filled up very quickly on the last ring making workshop. See below for details. Saturday 6th October, 10am till 12noon at Resonate Arts House in Alloa. Learn how to make a wrapped wire ring and beaded cluster ring, a fun workshop suitable for both beginners and those with experience. Workshop cost is £20 - Use of tools and all materials are supplied, you will leave with beautiful jewellery to take home with you.